You may remember Matt’s colt, Buck, that he got last fall. Well, Buck spent the winter in the pasture a couple miles from the house. But this week, we brought him home. 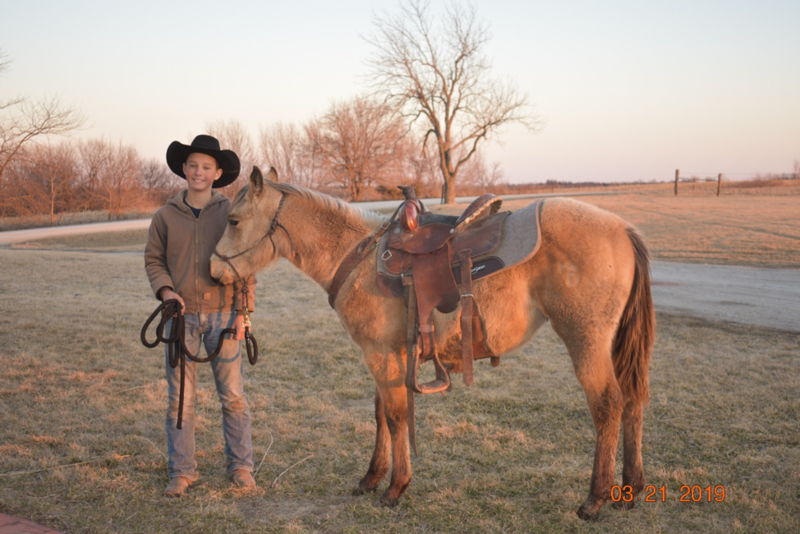 It’s Spring Break, after all, and Matt wanted to work with his colt. I figured it would take Buck a little while to get adjusted to being back home, so you can imagine my surprise when Matt walked by the kitchen window…with his saddle on Buck! The saddle was a little big yet, but with some adjustments, it fit just fine. It will be a while yet before Buck is big enough to ride, but I think he’s got a very nice start. I’ll keep you posted on the progress.